Following on from last year’s Urkult Folk Festival in Sweden and Digital DNA @ The Planetarium in Northern Ireland, and Arctic Design Week in Finland this February, next up in the series of Creative Hotspots to be supported by ‘a creative momentum project’ is Iceland. VAKA Folk Arts Festival takes place in Akureyri, Iceland from 23rd to 27th of May. The annual VAKA Folk Arts Festival brings together the very best folk musicians, dancers and crafts workers, rooted in the traditional folk arts of Iceland, along with performers from the Nordic and other countries of northern Europe. It is a small and friendly festival with a varied programme that offers something for everyone. 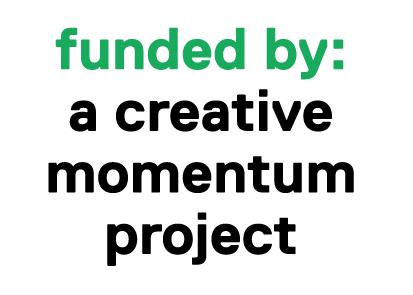 Following a call for applications late last year, ‘a creative momentum project’ has selected 8 participants who will be supported to take part in the Festival this May, including musicians and researchers. One of the performers being supported is renowned Irish Uilleann Piper Tiarnán Ó Duinnchinn. Tiarnán is an award winning Uilleann Piper who started playing the Pipes when he was around nine years old. He has won 4 Fleadh Ceoil (1st place) All-Ireland titles and in January 2013, won the Seán O Riada Bonn Oir (Sean O Riada Gold Medal) competition. Tiarnán has being touring and performing professionally on a regular basis since 1995 both as a member of various bands and as a solo performer. His music has taken him to Europe, the United States, Asia, Africa, Canada, Japan, New Zealand and Australia. VAKA Folk Arts Festival will be his first time performing in Iceland. “This is a great opportunity to bring ancient Irish music to an Icelandic audience and for me to be exposed to the musical culture of Iceland. Hopefully it may foster musical links between the two countries and provide opportunities for future musical collaborations”, says Tiarnán. Tiarnán has performed with numerous musicians over the years, from Tommy Peoples, Paul O Shaughnessy, Brian Finnegan, Niall and Cillian Vallely to name just a few. Tiarnán toured extensively with Máire Ní Bhraonáin (Clannad) from 1997-2001 and recorded two albums with Máire during that time. He has recorded with many different artists, between CDs, TV advertisements and his music has featured in two films. Tiarnán is also one half of Harp and Pipes with harpist Laoise Kelly; two very identifiable instruments of Ireland. The image and sound of these two instruments are quintessentially Irish in many respects, like echo chambers into the past. They have performed together for many years, and are leading exponents of their respective instruments, playing professionally for over 20 years in the four corners of the world. Their CD Ar Lorg na Laochra which denotes the journey on the pathways laid down by musical ancestors; discovering truth by building on previous discoveries or as the adage would have it “if I have seen further, it is by standing on the shoulders of giants”. "I went to see Laoise Kelly playing with a piper I know, Tiarnan O Duinnchinn from Monaghan, he was fantastic. But it was amazing, way back in 1964, I was listening to Willie Clancy, in a similar situation at a Fleadh in Scariff and I was weeping with emotion and I actually shed a tear when Tiarnan played as well. I thought, this is amazing. 46 years later."